Setting up and online business is an attractive prospect. After all, ecommerce is a big market. But it can be fraught with challenges. Unfortunately, having a great idea and business plan isn’t enough to grow a successful online business. Knowing your target market is useful for web development and much more. Making the most of your marketing and advertising spend relies heavily on well-defined target markets. For example, you can use targeted advertising on Facebook across all of our target segments to understand which group has the most interest in actually buying. Your customer segments also inform product sourcing. If you know that your main customer segment is mums with young children, you can find gifts for kids to appeal to that group. Surprisingly, many ecommerce sites are difficult and frustrating to use. They seem to focus on design, branding and ‘cool’ functionality, rather than focusing on what’s important and useful for the customer. For example, some sites really do make the ordering process so difficult that the customer abandons their basket. The problem gets worse when you consider that most shopping is now completed on a mobile device. Resource-intensive plugins and a clunky user interface can make ordering personalised and customisable products slow and difficult while hogging data. There is a lot to separate the good ads from the bad. Online advertising can be expensive, especially in the run-up to key shopping seasons, so it’s important to maximise your ROI. Again, testing is important, but you need to start with clear ad copy and imagery. Stock photography and vague text will be quickly dismissed and your investment wasted. Copy and imagery need to work together to quickly inform the customer: what the product is, who it’s for and the price. Of course, the product also needs to be in stock, so it’s important to link your ads to live stock info. Using this approach, we managed to achieve a conversion rate of 3.6% over the Christmas season on Facebook. Getting the photography right is just as important for your actual website. A lot of websites use images of products on a white background. While this does make it clear what the product is and what’s included, it doesn’t help sell the product. Christmas for example: would you be more inspired by images of a gift against a white background, or of kids playing with the product in front of the Christmas tree? Lifestyle shots, where the product is being used in situ, activate the imagination and stir-up emotions. Customers are then better able to make the choice to purchase based on both rational and emotional reasoning. Another way to driving traffic to your new website is by running regular competitions, especially on social media. For example, you can email customers asking them to share a picture of their purchase on Facebook and tag your page in order to win. Their friends will quickly become more aware of you and and are more likely to use your service and enter your competitions themselves, growing awareness exponentially for a relatively low cost. Again, knowing your target audience and which segment you want to entice is particularly useful when selecting a prize. The prize needs to be relevant to people who have already purchased your products, but also attract those who haven’t used your website before. Alternatively, you could offer a voucher as the prize, attracting all of your target segments. If you want to achieve rapid growth, it’s worth developing solid partnership with business partners and resellers. The most important thing to remember is that resellers value is created through their brand, so they are very protective about it. As such, you need to help maintain or enhance their reputation by delivering outstanding service. Products and delivery need to be reliable and high-quality, while your team need to be flexible when responding to requests. If you can solve a partner’s challenges, they will love you for it! Top Tip: It can be especially helpful to invite resellers to come and see your products first-hand so they understand exactly what they’re selling and are reassured of the quality. Many online businesses outsource customer support to somewhere cheap and rely solely on web chats and email to manage tickets. This may be cheaper but it’s likely to frustrate your customers and partners if they can’t reach someone with the power to actually do something. In our sector, many customers have very short lead-times, so waiting on a reply to an email will cause anxiety around delivery times. 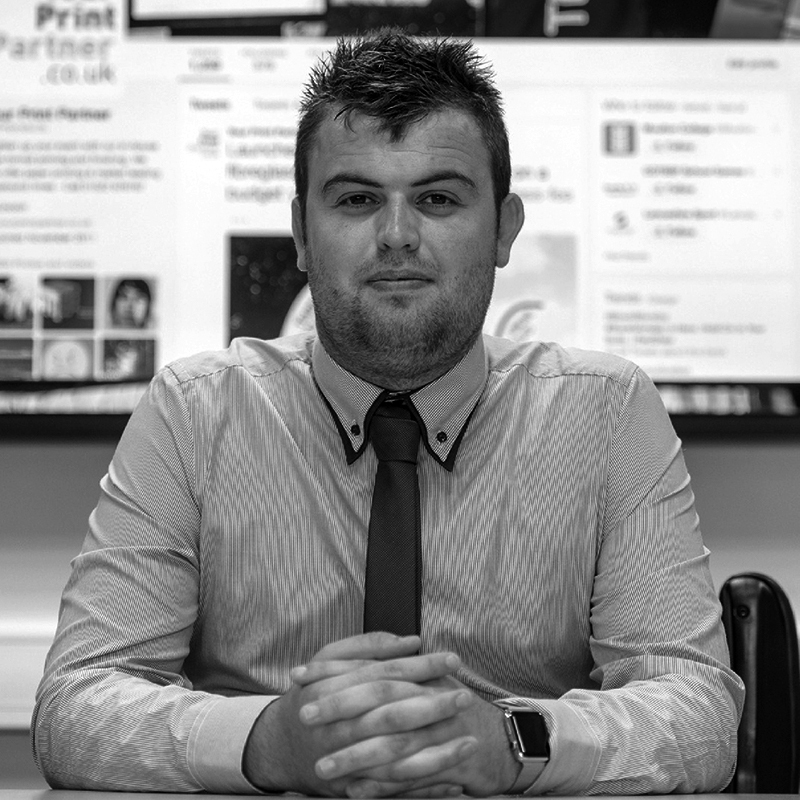 Stuart Maclaren is the award-winning Managing Director of The YPP Group, a leading name in the UK wide-format print sector. Your Print Partner is a specialist digital print company producing flags, banners, exhibition displays and other promotional products. YPP is now launching CustomGifts.co.uk an exciting new brand that will supply year-round high quality personalised printed gifts with late ordering and next-day delivery.